I’m a little bit late to the game reviewing this, and full disclosure, I won this album and a t-shirt by being a smartass on twitter. It’s tempting to say that this album is a psych-country ode to a collapsing society, but there’s a little more to it than that. Between songs like “When The Pumps Run Dry” and “Election Year Blues” there’s a lot of optimism and love. Love for the road, love for someone to share the road with, love for the huge chance to reboot society inherent in any breakdown. Songs like “Drifter’s Compass” and “Lone Star Souvenir” flesh out those human connections that are forged when everything else is falling apart. As Yuma Wray himself has remarked (on twitter), this is close to but isn’t quite psychedelia. He attributes this to the specific pedals and effects he uses for his guitar. 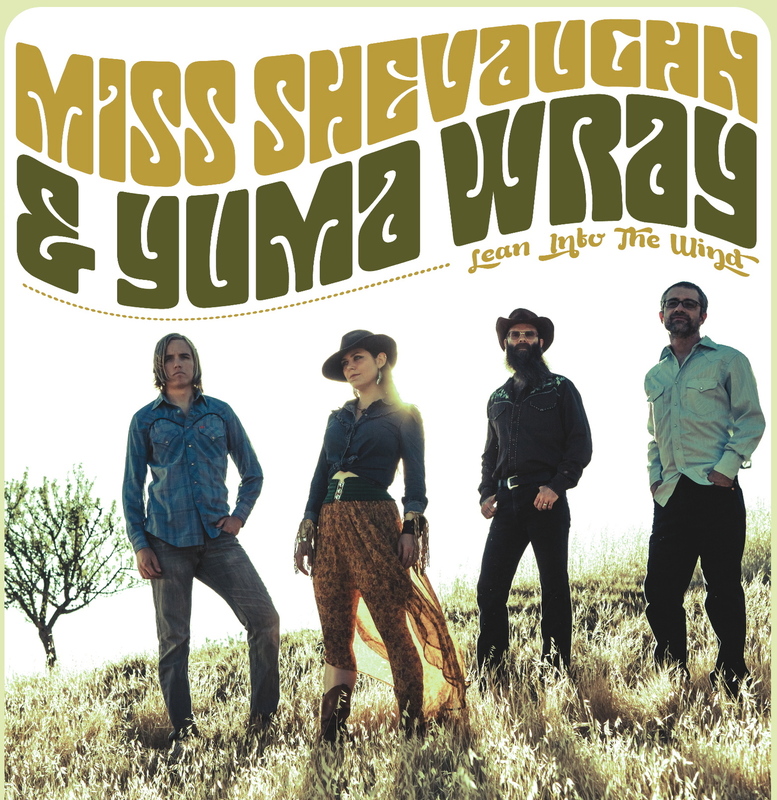 I think the answer though, is in Miss Shevaughn’s voice, which combines Neko Cases booming intensity and sweeping scope with the quavering vulnerability of Sylvia on an old Ian & Sylvia album. Her voice grounds the guitars and instruments with an intensity and engagement not often found in psychedelia. It’s country straight out of the garage; Nuggets-country, not quite psyche, not quite punk, but a potent mix all its own. Getting back to the guitars for a second, this album features some really nice, Phil Spector ballin’ on a budget production work. Songs will build with harmony vocals and then suddenly explode into crescendos recalling (and stick with me here) Spiritualized at it’s best. Those great moments where the melody builds to a towering roar, your knees buckle, and the floor drops out from under you. When all the instruments-flutes, synths, pianos, steel in this case-pile in. Ben Tufts and Derek Evry contribute drum and bass, respectively, that propel the rhythm forward neatly but with an appealing looseness. The band is coming through town next month and I’m curious to see what the live show is like. If this album and their Couch by Couchwest videos are any indication, it’s going to be a great show.